This is a joint post by Gus Silva-Chávez, EDF’s Climate & Forests specialist and REDD+ project manager, and Chris Meyer, who coordinates EDF’s REDD+ activities with Indigenous Peoples. The most recent UN climate negotiations wrapped up in December with a better-than-anticipated outcome, but the preparations for the next set — this year in Qatar — are already underway. Policies to reduce emissions from deforestation and forest degradation (REDD+) and to protect the rights of indigenous peoples who live in the forests made important progress in the recent UN climate negotiations in Durban. We’ve spent some time reflecting on the outcome of the 2011 talks in Durban, South Africa, especially on progress on policies to Reduce Emissions from Deforestation and forest Degradation, known in the UN world as REDD+. REDD+ was a huge winner in the 2010 negotiations, when the UN put its seal of approval on the policy, and this year made some additional progress, most importantly in finance and in ensuring rights for indigenous peoples. We were recently invited to write about the REDD+ negotiations in Durban for the Governor’s Climate and Forests Task Force (GCF), a coalition of -collaboration of 14 states and provinces in the U.S., Brazil, Indonesia, Mexico and Nigeria that was formed in 2008 at the first Governor’s Global Climate Summit. Below is our analysis of where REDD+ negotiations ended in Durban, and what we’re likely to see as countries gear up for the Qatar negotiations. 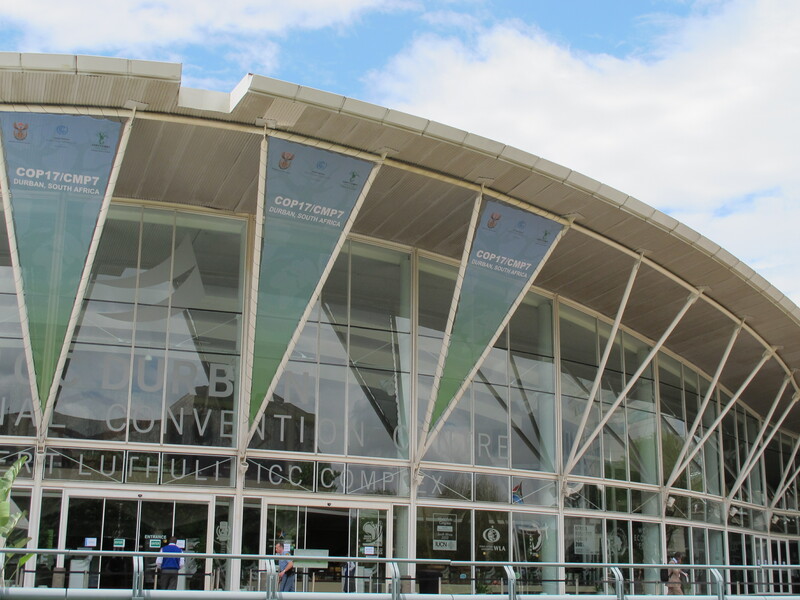 You can find additional analysis of Durban negotiations by EDF’s International Climate Program Director Jennifer Haverkamp in her blog post In Durban, world’s major economies show will to address climate change. In an annual ritual, government negotiators, NGOs and journalists attended the December 2011 UN Framework Convention on Climate Change (UNFCCC) negotiations in Durban, South Africa. 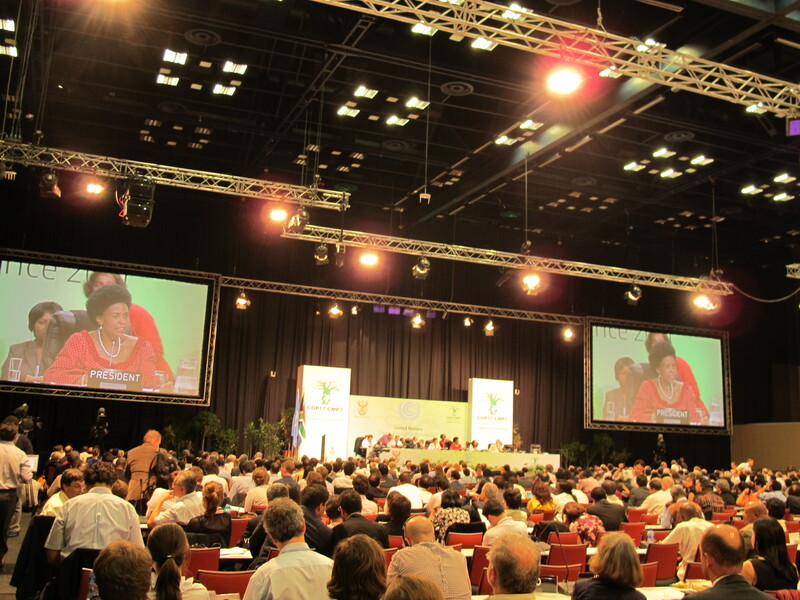 Negotiators in Durban approved technical guidelines for ensuring that reference levels — benchmarks for measuring progress in reducing emissions from deforestation — have environmental integrity. EDF had been eagerly anticipating this technical decision going into Durban, these new guidelines will provide a framework and necessary guidelines on how to establish reference levels that are based on science and that can serve as a measuring stick for environmental performance and financial compensation. REDD+ policies got a major boost in Durban when countries agreed that all sources of funding, including carbon markets, are eligible to pay for REDD+ activities. After years of exploring how to pay for all three stages of REDD+ (capacity building, early implementation and national-level pay-for-performance), the UN has put its seal of approval on the use of markets. Estimates indicate that while public financing is needed, especially for the capacity building stage, only large-scale, sustainable funding from carbon markets will generate sufficient funding. EDF applauds this decision. The decision on REDD+ finance, in the “Long-term Cooperative Action” (LCA) negotiations, included a clear endorsement of all sources of finance, a call for a REDD+ finance workshop and a technical paper in 2012. Looking forward to next year’s climate negotiations in Qatar, countries will start deciding on the details of reference levels, and some will begin to calculate their reference levels using the guidance decided in Durban. As more specific REDD+ financing methods are developed, countries will hold a REDD+ finance workshop and produce a technical paper that will attempt to answer some of the questions around financing REDD+. Negotiators in Durban approved critical provisions for ensuring the rights of Indigenous Peoples are respected and will be safeguarded in the implementation of REDD+ programs. Parties also outlined the protections for Indigenous Peoples prominently in the LCA’s financing sections. Still, negotiators only developed a framework for systems of reporting on the implementation of REDD+ safeguards and decided to continue working on the content of these REDD+ systems next year. Durban resulted in a positive step forward in providing preliminary guidance for the reporting on the implementation of safeguards as countries launch REDD readiness initiatives already being financed through the Forest Carbon Partnership Facility, UN-REDD program, and other bilateral initiatives. More importantly, we’re seeing indigenous peoples in many countries developing their own consultation and information gathering processes that will feed information into these systems. The Durban conference as a whole produced surprisingly good results, given our modest expectations. However, it is important to note that there are a lot of concrete actions taking place outside of the UNFCCC forum, including efforts to open a path for REDD+ credits from Brazil, Mexico and beyond to flow into California’s emerging carbon market. Top-down efforts at the international level can only succeed if bottom-up actions like these are being successfully implemented. For additional information on EDF’s international work, please visit edf.org/international. EDF has a team here in Durban, South Africa for two weeks to participate in the UN climate summit. One of the issues we’re engaged on in the negotiations is reducing emissions from international aviation and maritime shipping. With tens of thousands of people from around the world here to discuss a global response to climate change, the daily schedule is always packed full of official negotiations, large plenary meetings, and press conferences. Each day also features a number of “side events” — events outside the official negotiations put on by any “observer” of the climate negotiations, including countries, UN agencies, and non-governmental organizations (like EDF) — which serve as an important venue for information sharing, creative thinking, and open discussion on policy recommendations. Earlier in the conference, I attended “Emissions from international transport – global actions for global industries,” a side event jointly hosted by the International Civil Aviation Organization (ICAO) and the International Maritime Organization (IMO), the UN agencies for aviation and maritime shipping affairs, respectively. So what ICAO climate initiatives are worthy of such praise? None. ICAO’s current efforts to reduce emissions from aviation amount to a do-nothing plan: global inspirational goals to improve fuel efficiency and achieve carbon neutral growth from 2020. Aviation emissions can grow unfettered until 2020, at which point emissions could plateau if countries voluntarily take actions to mitigate emissions growth. Here at the climate negotiations in Durban, countries have the opportunity to send a clear message that ICAO must expedite a process to achieve net emissions reductions from the aviation sector. ICAO member states don’t get another decade to dillydally on the issue. They must act now. Considering ICAO’s lack of progress in the past decade, it’s hard to believe that a clear signal from the UNFCCC will do much to catalyze progress in that forum. But in the interim, as ICAO gets its act together, countries should continue to move ahead with national policies to reduce emissions from aviation. The European Union’s Aviation Directive provides a great model for such action—as of January 1, 2012 airlines using EU airports will be held accountable for their carbon pollution. Going into the final days of the UN climate conference, countries have agreed on key issues on policies to reduce emissions from deforestation and forest degradation (REDD+). The draft decision on how to evaluate and ensure environmental and social responsibility in curbing deforestation is expected to be approved in the final hours of the conference later this week. The results of the draft decision written by a technical working group are mixed. (I’ve assigned them letter grades below). Reference levels are benchmarks of measuring forest-related emissions in tons of carbon dioxide per year. A robust reference level means that we can measure whether a country is reducing emissions and maintains environmental integrity. EDF supported a clear separation between the setting of reference levels and the political questions relating to compensation, and that’s what has been approved. The compensation discussion will be a political negotiation that depends on commitments (caps) from developed and major emitting countries. Countries may adjust their reference levels, but they’ll have to justify each adjustment individually to the satisfaction of an expert review panel. This is an important safeguard that will promote environmental integrity. The discussions centered on the type of information that needs to be submitted, as well as how frequently and to whom the information should be reported. This is critical because it allows us to see if REDD+ national programs are being implemented with the consent of indigenous peoples and local communities, and if their rights are being respected. At this point, a framework for the safeguard information systems was decided, but explicit guidelines on its content were not decided upon. However, there is the opportunity for the guidelines to be strengthened next year. 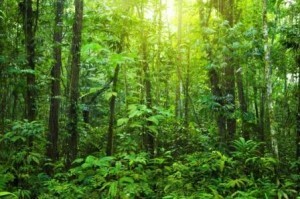 In addition, outside the UN Framework Convention on Climate Change (UNFCCC) process, many other groups such as the UN-REDD program, the World Bank’s Forest Carbon Partnership Facility, as well as Brazil’s national and state REDD program are making major strides in implementing such safeguard programs. In the UNFCCC, there is an entire set of negotiations dealing with this issue. As a result, countries did not explore this issue in relation to forest-specific issues. The decision calls for guidance from the overall MRV negotiations and for an expert meeting next year to discuss these issues in depth. Waiting for overall guidance is a prudent move and should not be seen as a negative outcome. In the coming days, countries will be focusing on how to finance REDD+ activities. The discussions on REDD+ finance, taking place in the negotiations on “Long-term Cooperative Action,” (LCA) began last week but made little progress, due to the focus on the technical issues. Although the Cancun agreements tasked the LCA with “exploring” all financing sources — including markets –the current negotiating text simply calls for more exploration in the form of a technical paper and a workshop. This is disappointing and many countries agreed that we can be more ambitious and this conference needs to put its seal of approval on the use of all financing sources. The EDF team is making the case that in order for REDD+ programs to be created and sustained over many years, the UNFCCC needs to recognize that all sources of financing should be used to pay for REDD+. Public funding will never be enough and the gap in financing will have to be made up by the private sector. Stay tuned to see what happens!